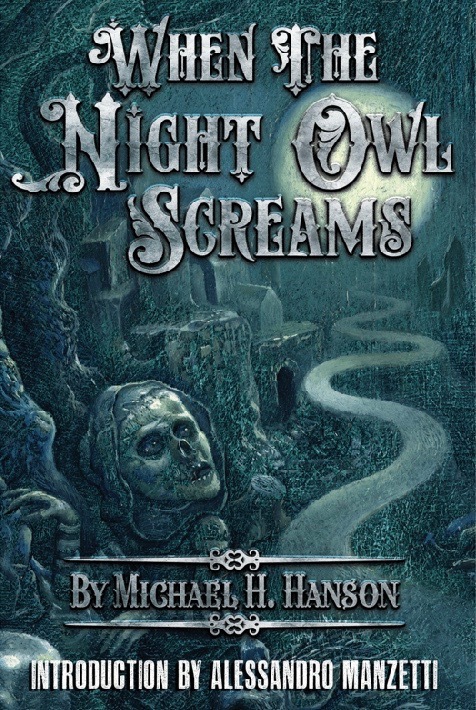 MoonDream Press (an imprint of Copper Dog Publishing) is pleased to announce the upcoming Halloween 2017 release of the second volume of dark verse from poet Michael H. Hanson… WHEN THE NIGHT OWL SCREAMS. For two years Michael has toiled away in the twilight hours of each day, imagining, creating, and even living the surreal scenarios that make up the 105 deliciously dark poems in this fresh anthology. The Cover Art was supplied by surreal artist Chris Mars, who also provided 6 macabre illustrations that kick off each of the six chapters in WHEN THE NIGHT OWL SCREAMS. 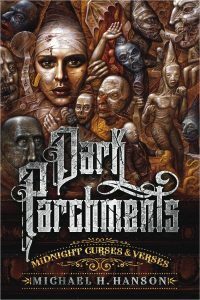 Michael’s previous volume of eerie poems was DARK PARCHMENTS: Midnight Curses and Verses, a tome of strange delights that was published in 2015, and is available on Amazon as both a Trade Paperback, and in Kindle e-book. exposing the sky’s savage sweep. or rocket ship or flying cars. plunging up towards an endless depth. 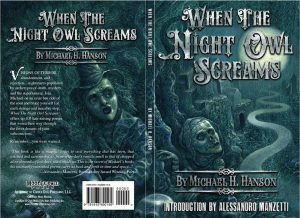 The trade paperback version of WHEN THE NIGHT OWL SCREAMS will be available on Halloween 2017, with the Kindle e-version following shortly afterword.